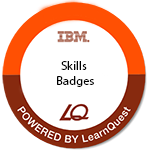 LearnQuest and IBM are working together to award digital badges for successfully completing IBM courses and achieving those course objectives. A digital ‘badge’ is an online industry-wide recognizable form of achievement. Badges indicate knowledge and skills acquired, an active role in technical communities, contributions to the field, excellence in specific areas of technology and other individual accomplishments. Digital badges are popular in today’s world of digital media. Badging easily and quickly shares verified proof of your achievement. Academics, professional organizations, and corporations are focused on badging and its role in talent management and recognition of achievements. Both IBM and LearnQuest credentials are recognized globally in the IT industry. These names represent the best in cutting-edge technical products and training. The badge you earn makes a powerful statement about your skills. Check out this article by Fox Business to learn how IBM Badges are helping professionals all over the world stay up-to-date with their skills. 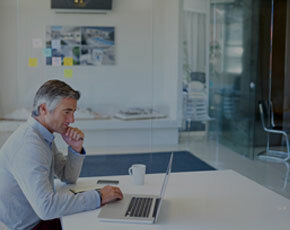 Wondering how to add your IBM badge to your email signature? Watch this quick video for instructions. If you would like add your badge to your LinkedIn profile, click here for instructions. The IBM Digital Badge program , winner of the 2017 Platinum Learning Impact Award, helps you quickly and easily share verified proof of your IBM credentials, wherever and whenever you choose. After completing the necessary courses, you can expect to receive your badge within two weeks. If you have not, or if you have further questions, feel free to reach out to us.